When the word ‘India’ comes up in passing conversation, the first picture that comes to mind might be that of the cities of Mumbai and Delhi: a cacophony of beeping car horns and the hum of Hindi, coupled with the distinctive spice aroma wafting through bustling streets. However, as vibrant and spirited as city life can get, it is only natural for Man to tire of living so busily after a period of time. The beeping of car horns may turn shrill, and the previously endearing buzz of conversation reckoned as unnecessary noise. At times like these, increasing stress levels can only be alleviated by a temporary escape from the hustle and bustle of city life. With India’s multi-faceted landscape, there’s really no need to travel on exhaustingly long flights to Europe or New Zealand just to soothe your mind and relax your senses. From picturesque tea plantations to rustic temples, the possibilities of adventure are endless. Amongst the plethora of breathtaking attractions emerges a winner: hill stations. The majority of hill stations were built by the British as a refuge from the unbearable summer heat, and boast sublime tranquillity and beautiful landscapes. Here are 6 must-visit hill stations in India that will bring you right into the heart of Mother Nature and rejuvenate your soul! Renowned worldwide for the distinctive and flavourful tea leaves, Darjeeling is one of the most gorgeous hill stations in India – think lush emerald-green tea plantations, scenic lakes, and pleasant weather. Visit Darjeeling Himalayan Railway, which is one of the UNESCO world heritage sites, and soak in the breathtaking scenery. The Tiger Hill is also an essential Darjeeling attraction to visit, for its advantageous location allows tourists to catch a glimpse of the mighty Everest and Kanchenjunga peaks. Nestled in Nilgiri Hills at an altitude of 2,240 metres above sea level lies the quaint little hill station of Ooty. Fondly nicknamed the ‘Queen of Hill Stations’, Ooty is home to numerous waterfalls and botanical gardens. The Mudumalai Wildlife Sanctuary is yet another interesting tourist attraction there – it’s hard to imagine running out of things to do in Ooty. Untouched by the ramifications of technology, Pahalgam is located amongst majestic mountains, with the famous River Liddar gushing out spurts of silvery water. With the numerous skiing and angling sites, Pahalgam is perfect for thrill-seekers. It is in this scenic hill station that you can get in touch with Mother Nature and experience what the beauty of the world. 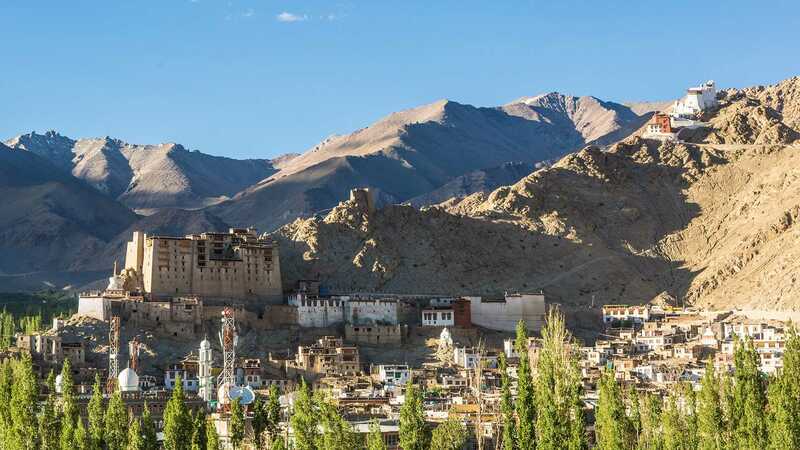 Leh, the capital of Ladakh, is the Buddhist capital of North India and is surrounded by the snow-capped hills of the Himalayas. Every year, Leh attracts thousands of devout Buddhists from all over the world. Apart from being the Center of Tibetan-Buddhist culture, it is also a haven for trekking and hiking. Shopping in Leh is also a fascinating experience – prepare to hunt for the best deals on beautiful jewellery, local handicrafts and traditional clothing. The Bhandardara hill station rests by the Pravara River and remains relatively unheard of as a tourist destination, making it even more peaceful and secluded. The cascading Wilson Dam and tranquil Arthur Lake are the most popular attractions in this rustic little hill station. It would be a pity to miss out on Bhandardara idyllic charm, beautiful weather, and sweet fresh air. The picturesque Nandi Hills are a mere 60km from Bangalore, and gives early risers a breathtaking view of the sunrise. Bird-lovers would be pleasantly surprised, for Nandi Hills is home to rare bird species, such as the Peregrine Falcon and Nilgiri Woodpigeon. The variety of temples and museums allows tourists to gain a better understanding of the cultures and traditions of India. Take some time off from your hectic life and pay a visit to the aforementioned hill stations in India. Aside from a reinvigorated soul, you will also leave with unforgettable memories of landscapes you thought you’d only see in magazines. Do remember to pack minimally, and look for affordable bus tickets, so that you will trot with not only a light bag, but also a light heart.